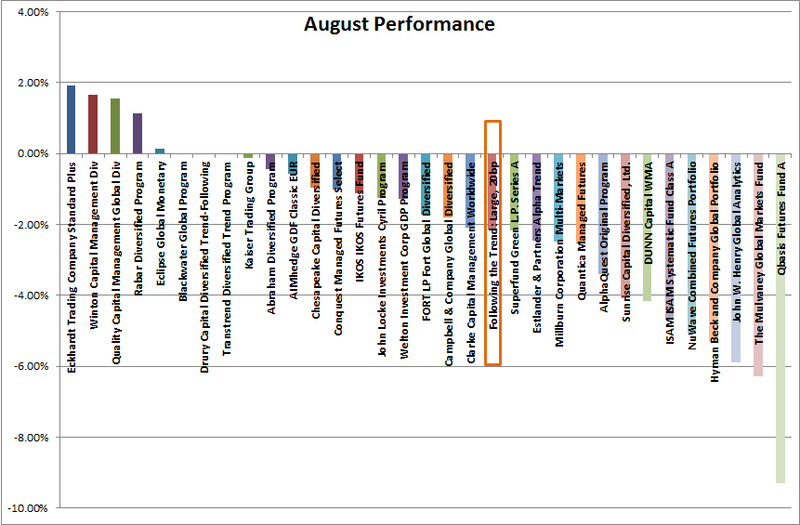 Trend following hedge funds mostly showed small changes in August. A few however showed rather large swings. 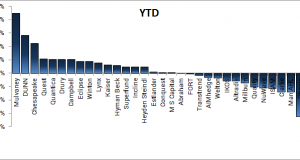 August was a month where the asset mix really mattered. I have stated before that the key factor separating these funds is asset mix. The entry and exit rules are more or less the same for all trend followers. Tweaking the details is just fine but it will not have much of an impact. How you compose your investment universe across sectors however has a massive effect. The strategy variant that did the best this month is one where you have a higher focus on rates with wider stops than average along with a lower than average allocation to forex. 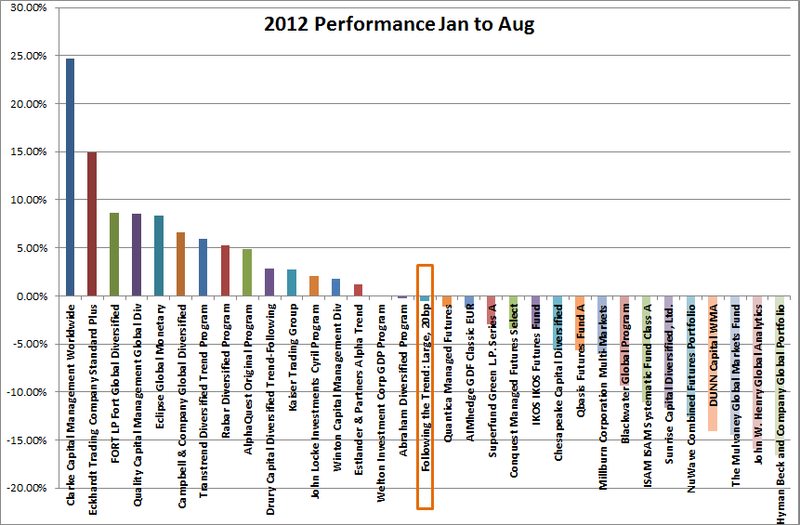 It’s not terribly surprising that this was a month of very mixed performance. It is a little surprising that a few good funds lost over 5% and in one case almost 10%. The performance of our core trend following strategy is highlighted in orange. It is rather in the middle of the road. As it should be. Remember that the core strategy is a highly generic model designed to roughly replicate the bulk of the trend following business. In any single month anything can happen. Over a few month and even more so in a few years, they are all the same. The difference comes from their choice of time frame, risk factor and asset mix. In the year to date comparison we also end up in the middle of the road. It’s been a difficult year for trend followers. Difficult but not terrible. These years are unfortunately very common. Month after month and nothing seems to happen. 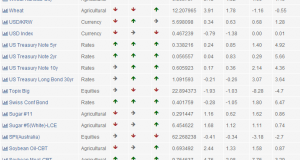 This is where the real trick of trend following comes in. Patience. When you have a solid trend following trading plan you need to stick with it. As long as it performs within expected parameters you just need to keep doing it. That might mean months and sometimes years of sideways or even negative performance. Don’t worry. You’ll still beat the buy and hold equity crowd and most other trading strategies in the long run.